A new proposal to change the current imaging criteria for the diagnosis of MS to include the symptomatic lesion has been put forward, after a preliminary study has suggested that this would identify patients earlier. The study, published online in Neurology on July 15, was led by Wallace J. Brownlee, FRACP, Queen Square Multiple Sclerosis Centre, University College, London, United Kingdom. The authors explain that a diagnosis of MS requires the demonstration of dissemination in space (DIS) and time, meaning symptoms or lesions need to be seen in different locations and at different times. In people with a clinically isolated syndrome (CIS), the first symptom indicating MS, current MRI guidelines — the McDonald criteria — allow the use of MRI to provide evidence of dissemination in space and time rather than waiting for a second clinical attack, which has facilitated earlier diagnosis of MS. However, Dr Brownlee noted that the current MRI criteria for MS diagnosis exclude the symptomatic lesion. "For example, if the presenting symptom is numbness up to the waist, then a lesion in the thoracic spinal cord would be the likely cause. So if a lesion is detected there, it would not be included in the criteria for 'dissemination in space' MS diagnosis," he commented to Medscape Medical News. "This requires there to be lesions in at least two other key areas. "Our study suggests that the symptomatic lesion should be included and that there should be a lesion in just one other area.to qualify for an MS diagnosis on MRI," he said. Dr Brownlee explained that the reason the symptomatic lesion was excluded in the latest guidelines was to increase the specificity of the diagnosis. "It was felt that while the symptomatic lesion could be indicative of MS, it could also be due to other conditions as well. But this was not based on strong evidence. Rather, it was based on expert opinion. "We did the current study as we were concerned that by excluding the symptomatic lesion then we may be missing patients who have MS and they could be picked up and treated earlier," he said. 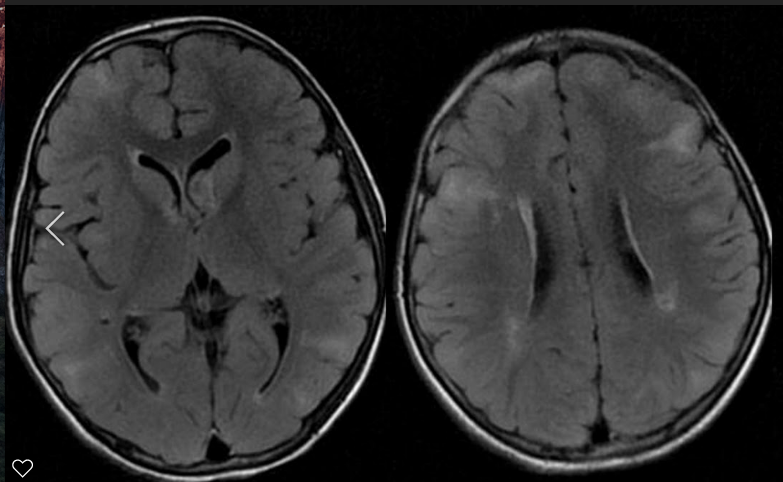 "And indeed we found that including the symptomatic lesion does lead to an earlier diagnosis of MS."
The study included 30 patients with CIS with brainstem/cerebellar and spinal cord syndromes who had MRI at the time of CIS and were followed up for the development of clinically definite MS.
Dr Brownlee and colleagues retrospectively applied the McDonald 2010 criteria (excluding all lesions in the symptomatic region) to baseline MRI scans and they also applied two modified criteria: the inclusion of asymptomatic lesions in the symptomatic region in DIS and the inclusion of any lesion in the symptomatic region. Results showed that lesions in the symptomatic region in DIS increases the sensitivity of MRI criteria for diagnosing MS without compromising specificity. The sensitivity, specificity, and accuracy were, respectively, 73%, 73%, and 73% for the McDonald 2010 criteria; 80%, 73%, and 77% when asymptomatic lesions in the symptomatic region were included; and 87%, 73%, and 80% when any lesion in the symptomatic region was included. During 7 to 8 years of follow-up, half the patients developed MS on the basis of the occurrence a second attack (at average 25 months). "If using current McDonald MRI criteria, the diagnosis would have been made at an average of 9 months and if using our proposed change to the McDonald criteria to include the symptomatic lesion, then the diagnosis would have been made at an average of 5 months, so we would be identifying the patient 4 months earlier," Dr Brownlee said. "This is an important time saving when you are dealing with a young adult who has had a worrying event and will be concerned to know whether they have MS or not," he added. "People want to know. We have good disease-modifying treatments available, and they need to be started as soon as possible." But he stressed the importance of applying these MRI criteria only when patients present with symptoms that are typical of MS (ie, those indicating demyelination). "Occasionally MS does present with other atypical symptoms, which could also be due to other conditions, such as migraine or fibromyalgia," he said. "In this case I would be more cautious — maybe wait a while and perform a second MRI or consider other tests, such as lumbar puncture, as well." Dr Brownlee concluded: "MRI changes are facilitating earlier diagnosis, but there is ongoing concern about getting the diagnosis wrong. But it comes down to applying the criteria to the right set of patients: those with a typical clinical presentation of MS and not those who don't fit that profile. The presenting symptom is the most important factor for an accurate diagnosis. Once a typical symptom of demyelination is present, then we believe it is appropriate to include the symptomatic lesion in the MRI criteria." He added: "We would encourage other groups to look at this issue in their patients too so that change can be further informed."